Gentoo Forums :: View topic - IPTABLES error & help required! 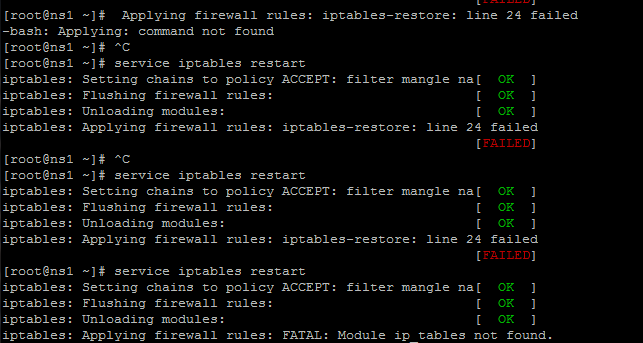 IPTABLES error & help required! Posted: Wed May 07, 2014 11:04 am Post subject: IPTABLES error & help required! 2nd-It gives module not found error. Default kernel config is kind of... "minimalistic" in terms of iptables. Almost everything is disabled. This means, you have to fix it and recompile kernel before you can use more advanced functions stuffed there.